John Gross plays the saxophone (tenor and alto), flute and clarinet. He lives in Portland Oregon and Vancouver, British Columbia, Canada. He teaches at Mir Music, Pacific University and privately. John began his musical career in California as a child, playing with the Sepulveda Youth Band, the Claude Hoppers, and the International Order of Foresters Robin Hood Band in the late '50s with his sister Laury (trombone) and brother Jim (oboe). It was on tour with this youth band that he first visited Oregon. His first grown up gig was with Harry James, on tour in Nevada and California in 1961 at age sixteen playing alto sax. He then toured with Johnny Mathis for two years playing alto sax, clarinet, flute and piccolo. Back to his jazz roots, John then toured with Stan Kenton, Lionel Hampton, and then Shelly Manne. John toured, recorded and worked as one of Shelly Manne's Men at Shelly's Mannehole in Los Angeles for five years (1967-1972). His recordings with Manne include Mannekind, Outside and Live in London. In 1970, John recorded Black, Brown and Beautiful with Oliver Nelson, and Night Song with Putter Smith. After that, John worked with Gerald Wilson for two years and Don Ellis for three, and played and recorded with many bands in Los Angeles. He recorded his first album, Caution, in 1975 with Kent Glenn (piano), Frank de la Rosa (bass) and John Tirabasso (drums). John joined Japanese composer/conductor Toshiko Akiyoshi's big band in 1979, touring and recording with Toshiko and Lew Tabakin through 1983. Recordings with Toshiko and Lew include Tanuki's Night Out, Farewell to Mingus, European Memoirs and From Love with Toshiko. John also played with Bill Holman's big band in the 1980s. In 1987, John formed Threeplay with Larry Koonse (guitar) and Putter Smith (bass). Their first recording, Threeplay was released in 1990. A second recording, made in 1996, Poolside, will be released in 2014. John's most recent recording, Shards, with the GMC Trio (Cameron Morgan and Scott Cutshall, and John) is available on bandcamp.com. John moved to Portland in 1990. In October 2016 John is moving to Vancouver, B.C. For more about John's career, see At Home, News, Recording, Reviews and Bio pages. John Gross in Vancouver B.C. 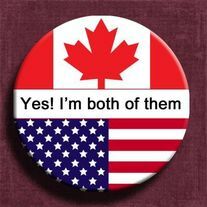 notice that I am still around a lot, because I will be moving about the country - Canada AND the U.S. - more often than ever as my schedule is freed up from the day-to-day routine.